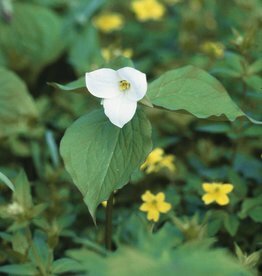 Trilliums are beautiful woodland plants, the most originating from North America. They grow slowly but surely. 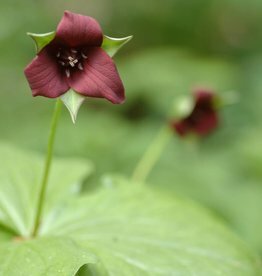 Give Trillium a humus-rich soil in the shade. 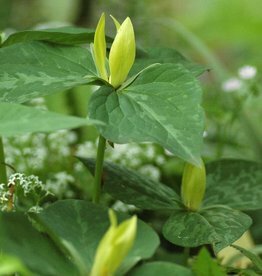 We’re delighted that Trillium luteum has begun to sow its self out in our woodland garden. The seedlings will flower after five years. Please note! 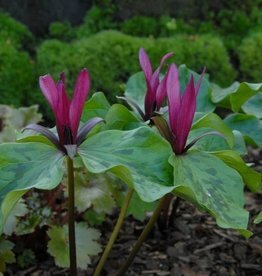 It can take a year before that Trillium really gets established and starts to flower. Plant them therefore where they won’t get disturbed, and it’s wise to mark their location with a small bamboo stick. Patience will be required!